This is posts compilation form our friend Andy. 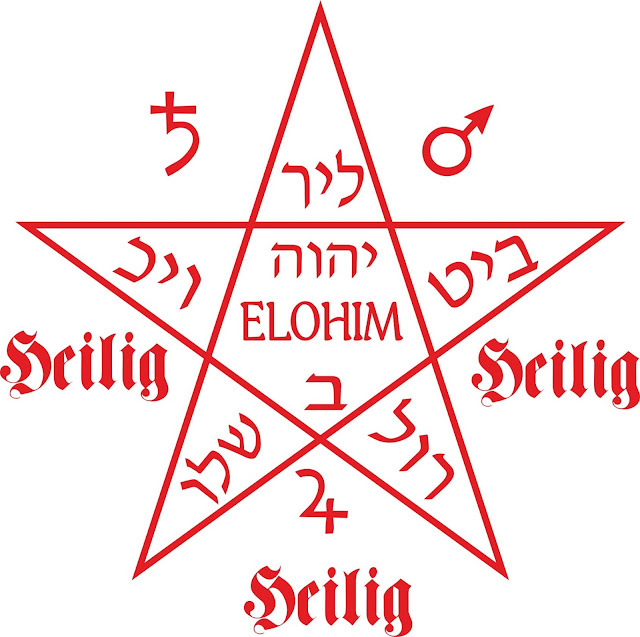 The work is based on the HEILIG Pentacle from 'The Sixth Book of Moïse'. Because of limits for picture in one comment, I will write step by step here. First, we have two versions of the pentagram. They have similar letters. For example, Shin at the bottom left. 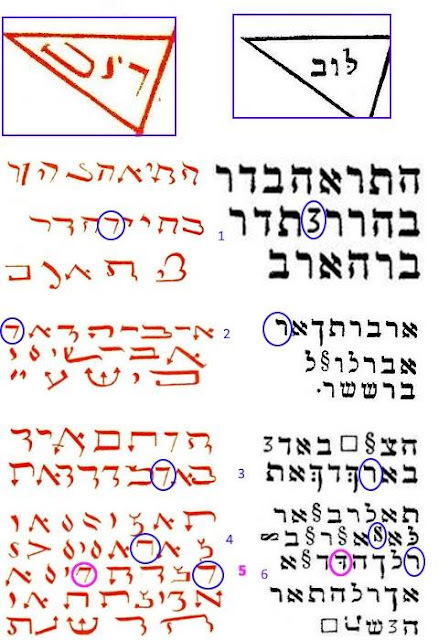 Suppose that all the words were originally written Hebrew letters. 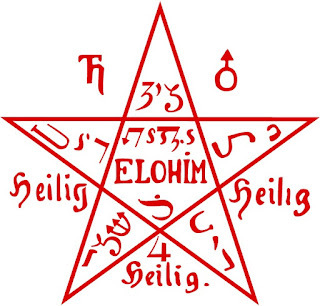 The first letter of the word at the top of the figure in given form occurs in other grimoires. It is Lamed. 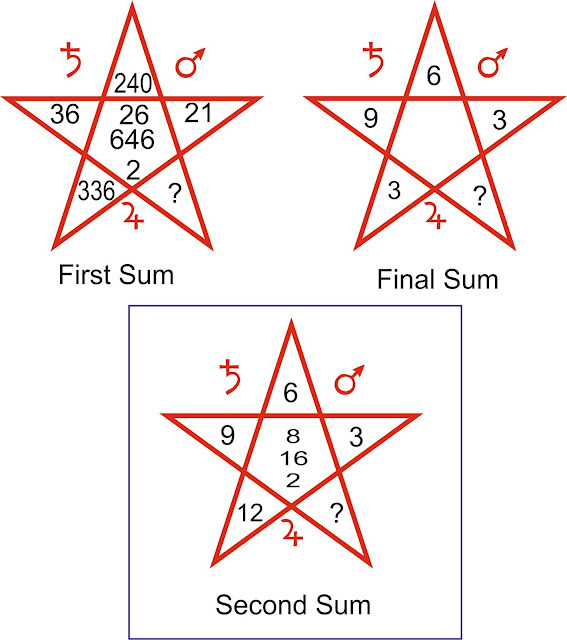 The second figure confirms that. 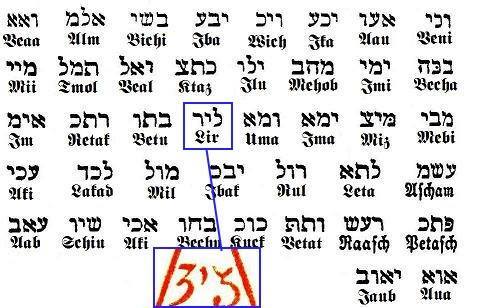 The second letter - either Iod (Yud) or Vau, or Resh - is not entirely clear. The third letter in the other grimoires can also denote Resh or Vau. 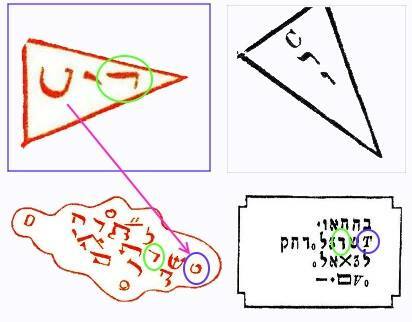 Jewish and Armenian words of three letters beginning with the Lamed, do not make sense for our study (LVZ, LVI). May be only Lamed-Iod-Iod, as an anagram Ps.60: 7. However, if you look at the second part of the book, pay attention to the description of prayer Vihi Noam. And in the table of Names (three letters each), made up of the initial letters of Ps. 90:17 and Ps. 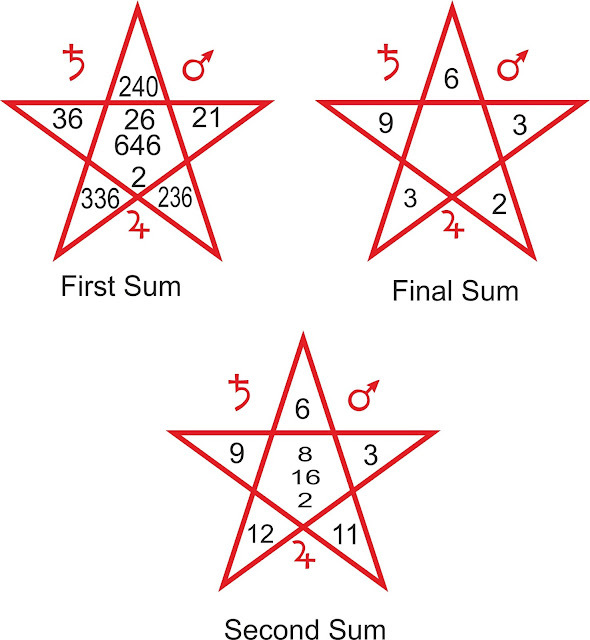 91, we can find name Lamed-Iod-Resh, which is completely consistent with what gives us the first and second pentagram. 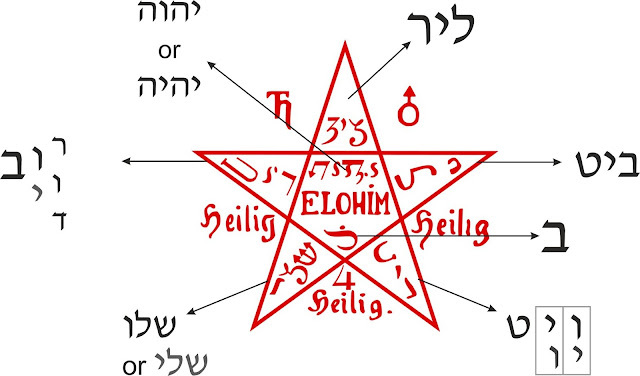 Word in the upper beam of the pentagram begins with the letter Beth. The symbol of the moon (on the second version) is probably distorted Beth. The second character, which is the second figure is represented by Saturn, must also be one or two letters of the word. Previously, we assumed that all the words are consist of three letters, but there seems to be two of them. The same description prayers Vihi Noah indicate how important the Divine Name Beth-Iod-Teth. Can it be a word in the right beam of the pentagram? Look at the picture. The name in the lower left corner. The first letter is definitely Shin. The second letter is Lamed. 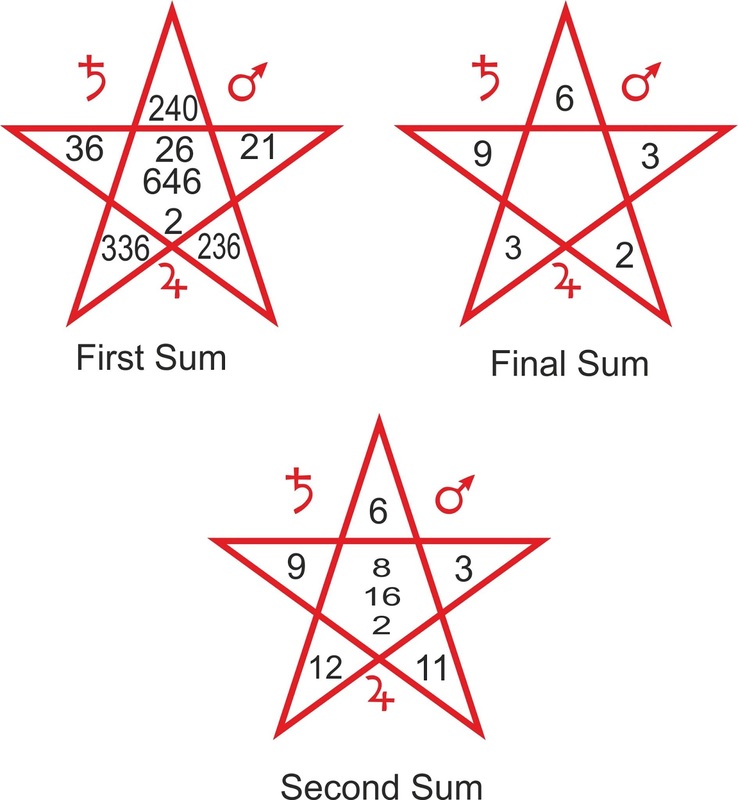 In the second version it was incorrectly labeled as symbol of Saturn. The third letter is similar to Iod. Image of Latin S instead Iod is typical for some Solomonic MSS. So, it seems that this is the name of Shin-Lamed-Iod. But if we compare the two versions of the inscriptions in the manuscripts, we find that it can be Vau too. Word Shin-Lamed-Vau in Aramaic represents: to rest, to be at ease, secure. 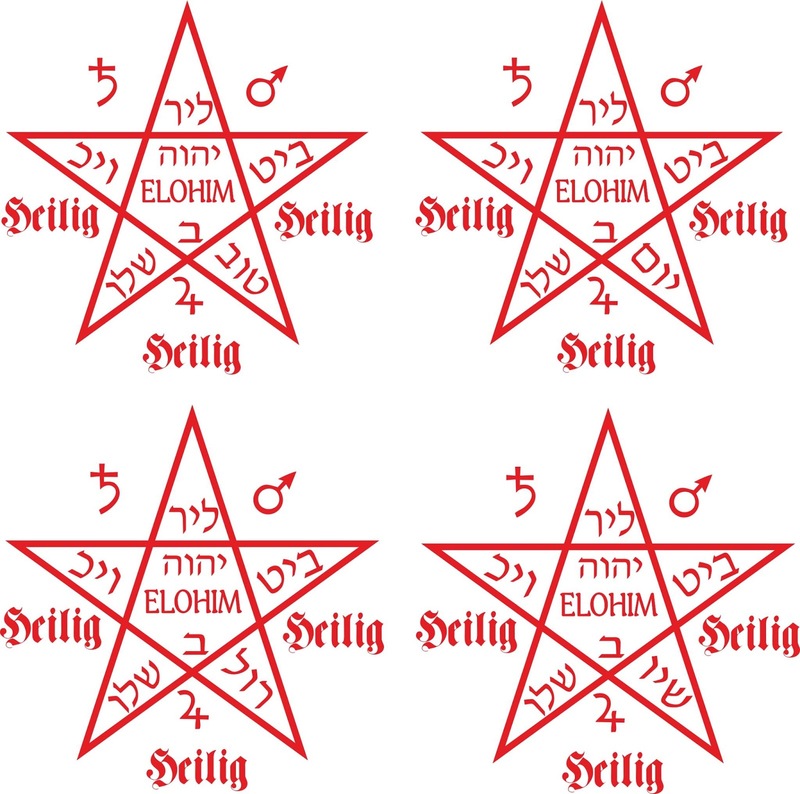 For better understanding of German Hebrew variations, take a look at image from Code.mag.1 - Clavicula Solomonis expurgata. The upper left corner. On the main (red) picture first character Dalet or Vau. Second Iod or Vau, as we have seen previously. Last symbol - likely to Beth. 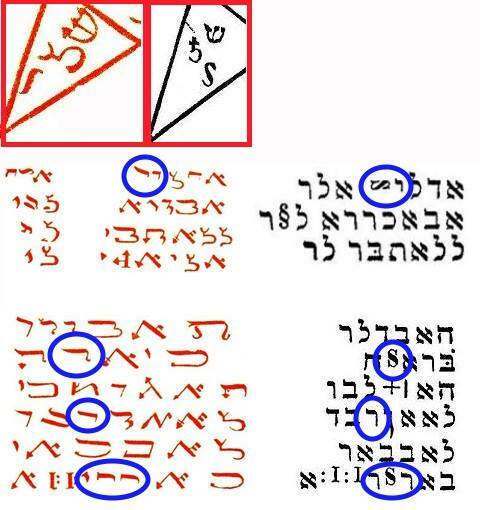 Compare to the second image: lamed-vau-beth. Not only the same first character. Let's see how it is defined in the other images of letters. Examples 1, 2 and 3 - Resh or Vau. 4 - probably Vau. 5 - Dalet, 6 - Resh. So, most likely, that the word is composed of [resh] [vau] [dalet] -vau-beth. I found only vau-iod-beth abbreviation of Gen.26:6. But, this is not for our case. 1. If we accept the possibility that the last letter is Tet. There no words ending with Tet (except B-I-T). But there is a version, that word starts from Tet: Tet-Vau-Bet (Tov) - goodness. 2. 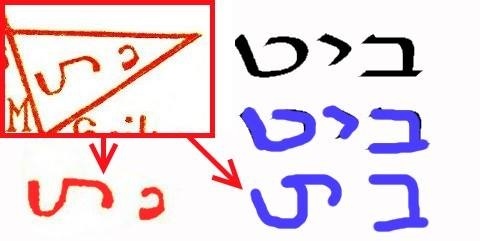 If we focus that last letter of the word is not Tet, but it was distortion of some different letters (Mem, Lamed, Phe), and the first two letters - a variation Yod, Vau or Resh, then we have the following words: Yod-Vau-Mem Resh-Vau-Lamed. 3. If this letter is Latin C, which indicates a consonant - Samekh, Kaph, Qoph, Shin (Sin), we have only one option: Shin-Yod-Vau. I do not think numerical patterns are important for 6 and 7 books of Moses. But lets check it just in case. Does anyone see correlation ? Anyway, I understand, that my conclusions are only theoretical. And we need to test this renewed construction in field. - All work based on Andy Foster research and translations.